On 4 April, at the bookstore Pantera Rosa in Zaragoza, Spain, and on the occasion of the International Day against Antipersonnel Mines, the Association “Engineering without Borders” with the collaboration of ASAVIM and the Saharawi Representation in Aragon, organised a conference on antipersonnel mines and the Moroccan Wall of Shame in Western Sahara. 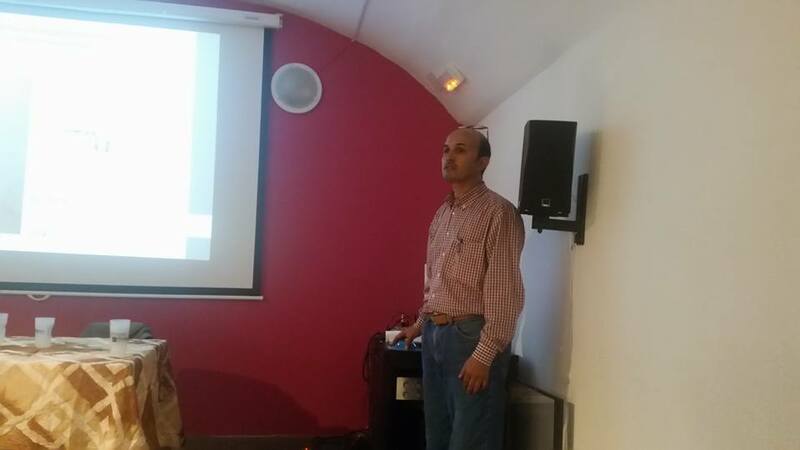 The representative of the Frente POLISARIO in Aragon, Sidahmed Derbali, took the floor to emphasise the importance of the event. The invited speakers were Gaici Nah Bachir, member of the coordinating team of the International Campaign against the Wall of Shame, and Eduardo Melero, professor of Administrative Law at the Autonomous University of Madrid and an expert on arms sales. The speakers called for the search for adequate means, including international support, to compel the Moroccan State to comply with the rules of international humanitarian law and to demilitarise the wall and to eliminate all antipersonnel and anti-tank mines and explosive remnants of war. They also called for giving due attention to mine victims and to prohibiting the sale of arms to the Moroccan army.